Vampires are predatory. We all know that. Yet ever since they became lead characters, every effort has been made to reduce or excuse their feeding habits. They only take a little blood, or that of animals, or eat bad people, or use a synthetic material — anything to get around the basic fact about vampires; they are the bad guys. So whenever I get too sick of all this glamorization, I like to watch a film that remembers they’re monsters. 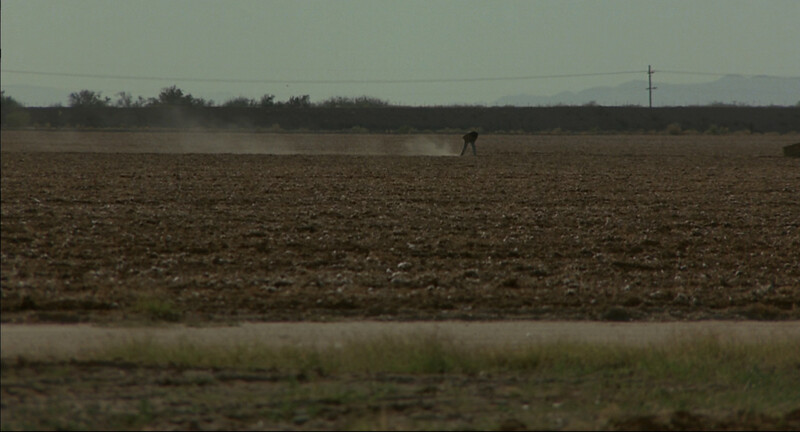 Something like Near Dark . The basic story is pretty simple. Caleb (Adrian Pasdar), a young cowboy type, is turned into a vampire by Mae (Jenny Wright). Mae’s group of fangers takes in Caleb and gives him an opportunity to prove he belongs. Unable to bring himself to kill, and with the vampires threatening his family, Caleb makes a stand for his and Mae’s humanity. Not too groundbreaking at the synopsis level. We’ve seen heroes reject the “gift” and even become human again. The same year saw the release of The Lost Boys , which had a similar high-level story. Mae and Caleb meet on a street corner. It’s the details that make this one stand out. For one thing, these vampires aren’t interested in playing human. No living in beautiful mansions, no vast wealth accumulated over time, not even trips to the boardwalk to enjoy the nightlife. They shack up where they can, and they hunt. They’re more akin to murderous bandits than they are to Dracula. The vampires are glorious in their monstrosity, reveling in the kill and burning everything in their wake. The vampires decide what to do with Caleb. Most delicious of all is Severen, played enthusiastically by Bill Paxton. 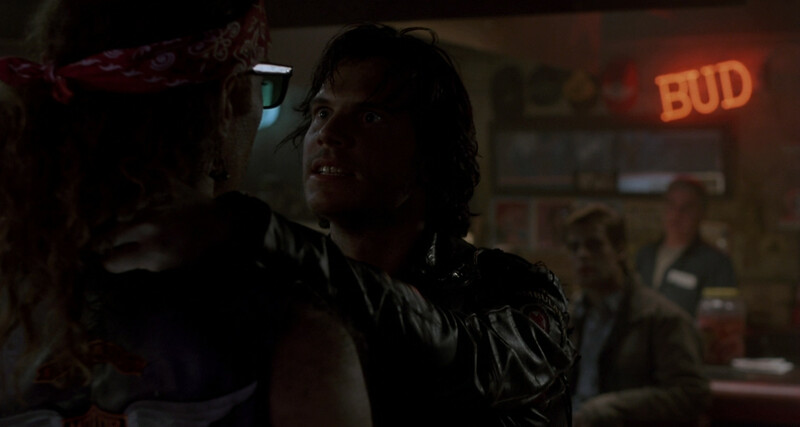 Arguably the most enjoyable scene in the movie is when the vampires descend on a bar, and Paxton’s performance is breathtaking as he torments both patrons and Caleb, who he’s ostensibly training. It’s a vicious scene, in which the movie strips away all pretense of tortured humanity and exposes the vampires as sadistic monsters. In this film filled with great actors and brutal characters, Paxton’s Severen stands out as the most enthralling, unstable, and dangerous. Severen picks a fight in the bar. The film’s not without faults. The leads Adrian Pasdar and Jenny Wright do a respectable job, but they don’t have the presence to show up against the background of top character actors. Among the vampires alone, you have Lance Henriksen and Jenette Goldstein joining Paxton. 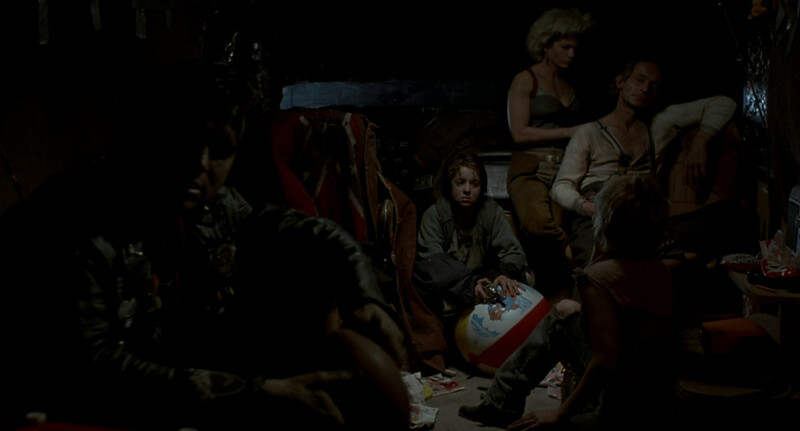 Just the previous year, those three stood out in Aliens , one of the best-regarded sequels in genre cinema. The biggest problem, though, is the ridiculous ease with which vampirism is cured. The original ending of 28 Days Later was going to center on reversing the infection through a total blood transfusion. This was abandoned as being too unbelievable, maybe because someone remembered that it didn’t come off well in Near Dark . There’s some vagueness, but Caleb’s father (Tim Thomerson) uses his veterinary know-how and some plasma to deliver a dues ex sanguine ending. Caleb returns home after being bitten, trailing smoke in the morning sun. 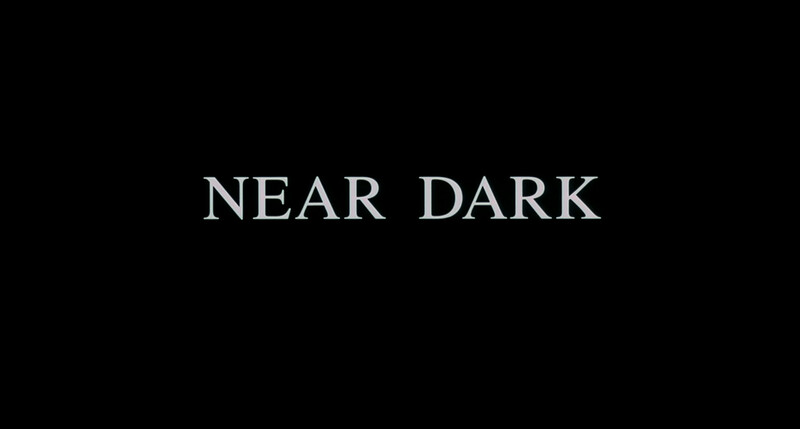 Still, Near Dark is a heck of a flick, and 30 years on it still feels original. It’s a violent film about finding love, and it’s fitting that the destruction of the vampire family isn’t so much the bond between Caleb and Mae but the unrequited yearning from those within the group. The only way to defeat animalistic evil is to offer it a glimpse of the redemption of society. And, of course, by having a vet change out your blood.